Eating hamburgers have become a staple part of our daily lives. It is hard to talk about grilling without including burger patties. Afternoons at the backyard would be incomplete without a batch of patties and sliders. For us that have busy lifestyles, it is very hard to find a way to make patties all the time. The best frozen hamburger patties can always save our burger-craving days. Sure, it is healthier to make homemade patties with a fresh batch of lean beef and fresh ingredients, but who has the time? I know when you come from work tired, you don’t want to mess with your burger press and make patties, you want to grab a burger to eat as soon as possible. What to look for in choosing burger patties? 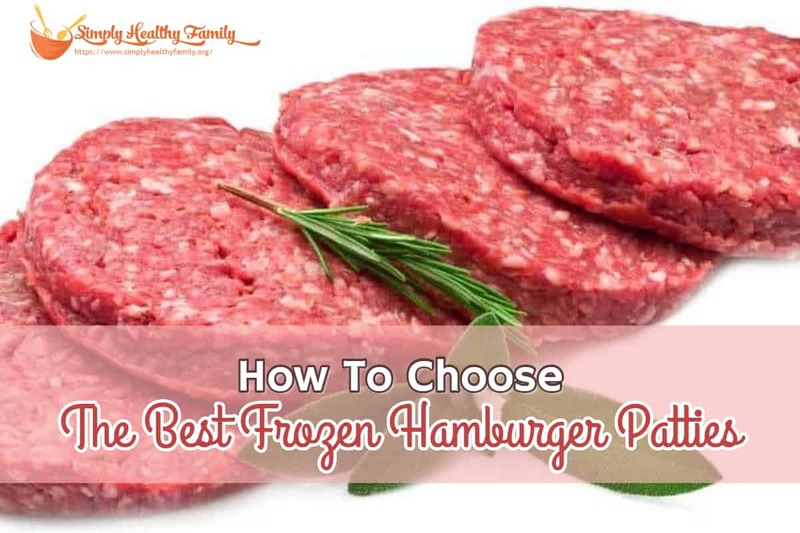 When you choose the right frozen hamburger patties, it doesn’t have much difference with homemade patties. In fact, it even benefits you through these means. Instead of forming uneven patties with your hand, or figuring out how to use your burger press, or mash raw meat with your hands, you just open the box and put your patties on the grill or pan. Most of the frozen burgers just need a few minutes each side to cook. You also don’t risk getting the kitchen counter messed up with residues of ground meat and other wastes that you need to clean up afterward. The only waste you have to handle are the breadcrumbs after you ate the burger. When you make homemade patties, there will always be a risk of getting mistakes, and sometimes these mistakes cost the whole batch itself when it cannot be remedied and you have to throw it out. Even if you make perfect batches, there will always be some excess ground beef, flour, or some other ingredients that are too little to store, so you throw them instead. You will be able to eliminate that through frozen patties. 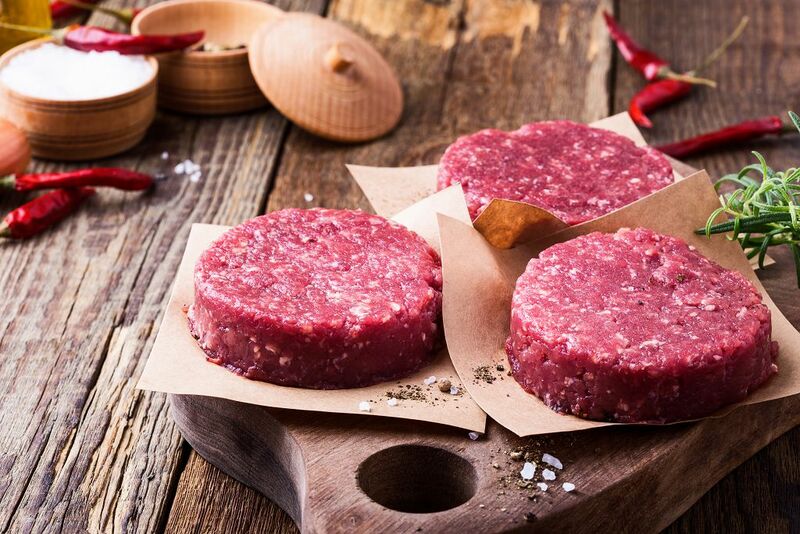 When you handle raw meat with your hands, you risk direct contact with some types of bacteria. These bacteria cannot be rid off by just washing. They stay and multiply in your kitchen counters with the risk of contact with children and pets. An infamous example would be the bacteria E. Coli. Although commonly known to be found in chicken meat, this type of bacteria is also often found in ground beef. With frozen patties, you don’t have to deal with it and risk your family of illness. The only thing you have to put is the dressing and sauces since the meat itself is already flavored. Some hamburger patties retain the smoky smell and taste. In making homemade patties, dealing with the mix of ingredients is already a challenge. An additional challenge is to know if the hamburger is tasty enough. It is hard to know since you won’t be able to taste it until it is cooked. Now that we have established the good in frozen hamburger patties, it is time to know how to choose the best hamburger patties. It is hard to nutritionally defend eating burgers on a regular basis. Being health-deviant as it is, we don’t want to make it worse by getting fast-food burgers all the time or getting a box of patties that we don’t know where came from. At least we have to be conscious of some things in choosing the patties that can be good for us. The last thing you would want to eat is beef from CAFO-bred cows. CAFO stands for Confined Animal Feeding Operations. Animals raised like these are often exposed to very inhumane conditions. The cows are weak and sickly, but they are injected with antibiotics and hormones so that they can be harvested faster and retain an appearance of healthy meat. The chemicals are passed on to us when we eat beef from these cows and the effects to our bodies are devastating. Choose the hamburger patties from free roaming cows that are bred organically without the use of any artificial hormones and antibiotics. These cows are also treated humanely and the closest to their natural habitat. The concern here is that if the cows were fed with hormones and antibiotics, or cow feed that contains GMOs or Genetically Modified Organisms. The effects of this kind of meat to the human body have proven to be harmful, even contributing to the development some types of cancers. It is safe to buy burger patties from brands with the certified organic label. This means that the cows are fed with 100% organic cow feed, without the exposure to growth hormones and antibiotics. Vitamins and supplements are also given to the cows but never growth hormones and antibiotic. Patties from brands with grass-fed labels mean that the cows were fed with a grass or forage-based diet. Although there is some exposure to antibiotics and hormone for stabilizing health, they are living close to their natural habitat and only given enhancers a few months before harvest. Beef from these cows is still safe to eat. Freezing has a significant effect on the burgers. The patties were flash-frozen right after harvest and processing. It means that there wasn’t any chance of decreased freshness since the meat is frozen right away. The flavor is also locked in the through the process. You also have to be aware if the hamburger patties are prepared using pure beef or if there are an excessive amount of extenders, preservatives, or artificial flavors. Synthetic chemicals are harmful to our bodies, so make sure that the patties are made with pure beef. If you are on choosing your patties on supermarket racks you have the chance to see the manufacturing date. Just as how we choose our bread and vegetables, make sure that you’ve taken a pack from a freshly made batch. 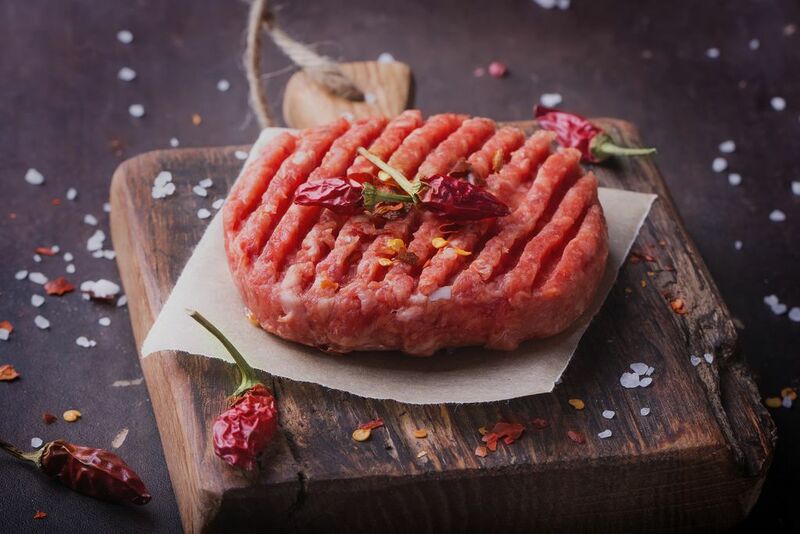 Here is our list of the best frozen hamburger patties available today. Glenmark burgers are dedicated to providing high-quality meat and affordable prices. They comply with every policy, especially focusing on energy conservation and waste reduction. The meat used are 100% USDA approved and are individually quick frozen (IQF) to ensure freshness until it reaches your homes. The hamburger patties are made from 100% USDA approved Angus beef. The beef is flash-frozen immediately to lock in freshness and flavor. Each patty is 1/3 pound, even heavier than your usual quarter pounder, which can satisfy your hunger. The hamburger patties will be shipped frozen then you don’t need to worry about the quality of patties might be affected while delivering. This isn’t the burger patties for you if you are into sliders and pocket burgers. These are big boy burgers. The good thing about the patties is that they are made from organic, grass-fed beef that ensures you are safe from any antibiotic or hormones. The cows are bred and raised here in South Dakota. It is homegrown and not imported from other countries. You can be assured that you are getting freshly harvested beef in every bite. The patties are made from organic, grass-fed beef. All the meat produced by Greensbury are USDA approved and certified organic. The cows are bred and raised in the US and not imported from other countries. It can be delivered anywhere in the US, frozen. You have to buy these patties in volume. It is packed by 40’s and priced as such. Getting ready for the summer has never been better with these hamburger patties. It is from one of the well-known meat companies Kansas City Steaks and the burgers will not disappoint. It is perfect for late afternoon backyard grills with family and friends. The patties are made from corn-fed beef. The beef comes from local producers and not imported from other countries. The package includes the original steak seasoning packet. It is sold in large packs of 32 pieces. You cannot order fewer pieces. If you are really on the go, this is the option for you. The package contains entire sliders, with buns and all! 100% pure beef, onion, a pickle, and the signature buns. All you have to do is put it in the microwave and eat. The hamburgers are made with 100% pure beef. It consists of a complete set, including onions, a slice of pickle, and a pair of buns. There is no need to grill or fry. Just put it in the microwave and you are good to go. It comes in slider sizes. If you are into large burgers, this will not be enough to satisfy your craving. While writing this review, I can’t help but crave for burgers! I love the Greensbury Market 40 (4oz) Organic, Grass-Fed Beef Patties. All of the hamburger patties are delicious( I tried all of them.) But what separates this burger is that it was made from organic, grass-fed, locally raised beef. It makes me assured that aside from the few extra pounds, I am not hurting myself and jeopardizing my health.